If you could have a conversation with someone important, or with a part of yourself, who would you chose to speak to? What would you want to say? How might it feel to be able to truly speak your mind? She cries as soon as she begins speaking. It has taken many months for Susan, my patient, to prepare for this conversation with her mother. She had doubted whether talking could make any difference to their relationship after so many years. I knew what she really doubted was her capacity to tolerate the sadness that would come with telling her mother how much it hurt when she walked out of Susan’s childhood, and her life. Susan’s tears quickly give way to anger. She shouts, screams, hits the arm of her chair as she accuses her mother of being selfish, for not thinking about her when she left, how as a child she had blamed herself for this departure even though it wasn’t her fault. Sitting beside Susan, I repeat these last words: It wasn’t your fault. She stops for a moment and sighs. Susan’s tears return but heavier now. All she wants to know is why. Why she wasn’t enough. Why her mother chose to leave. Why she didn’t listen. But Susan’s mother isn’t listening. In fact, she isn’t even in the room. This is not therapy as we know it – this is chairwork. Most of us can think of conversations we wished we’d had – questions that remain unanswered, resentments we wished we’d aired, goodbyes we long to have shared. Strange as it sounds, we may also wish to speak to parts of ourselves. Looking back, there are many things I wish I could tell my shy teenage self if I had the chance. Chair-based interventions (or ‘chairwork’ for short) represent an influential group of psychological interventions that enable these therapeutic dialogues. Over the years chairwork has been applied in a range of psychological disciplines where there is an emphasis on self-reflection and change, including clinical, educational, forensic, organisational and coaching contexts, as well as others (Carnabucci, 2014). Few interventions can boast such a range of applications to psychologists of different backgrounds. Preliminary research suggests that these experiential techniques are clinically effective, both in the treatment of emotional disorders such as depression and trauma (Greenberg & Watson, 1998; Paivio et al., 2010) and problematic psychological processes such as self-criticism and rumination (Neff et al., 2007; Shahar et al., 2012). In more recent years, chairwork has also applied in novel settings besides the therapy room, including schools, prisons, coaching forums and even solicitor training programmes (Carnabucci, 2014). Such a diversity of uses is rare amongst psychological interventions. Three core forms of chairwork have been described within the literature (Kellogg, 2015; Pugh, 2017). 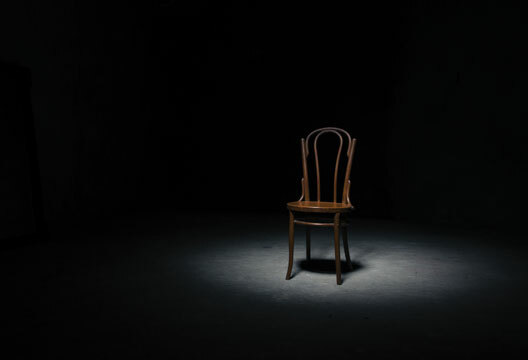 In empty-chair exercises, the individual is encouraged to engage in a dialogue with an imagined other placed in an empty seat. This ‘other’ may be an actual individual (as demonstrated in Susan’s confrontation with her mother) or something symbolic (for example, a personal goal or one’s ‘inner critic’). In two-chair exercises, the individual is asked to move between chairs representing different perspectives or parts of the self. For example, two chairs may be used to represent the part of the self that wants to change a behaviour and the part that does not, or one’s ‘rational’ versus ‘emotional’ side. Finally, the therapist and the client may (re-)enact problematic interactions through the medium of chairwork (‘chairwork role-plays’). This may be with a view to better understand events from the past, reality-test interactions in the present, rehearse behaviours for the future, or simply aid perspective taking. A fool introduced the world to chairwork. Almost a century ago, a young psychiatrist named Jacob Levy Moreno had grown increasingly frustrated with the rigid orthodoxies of psychoanalysis. ‘You analyse [patients] and tear them apart’, he reportedly told his lecturer, Sigmund Freud, ‘I let them act out their conflicting roles and help them to put the parts together again’ (Moreno, 2014, p.50). Moreno rejected psychoanalysis’ reliance on reflective discussion: what the therapy lacked was creativity and action. Moreno’s first and, by most accounts, largely unsuccessful demonstration of chairwork took place in 1921 – a politically tumultuous period in post-war Vienna. Dressed as a court jester, Moreno invited expectant members of a theatre audience to join him on stage and enact the role of a leader (Carnabucci, 2014). Centre stage, an empty throne and crown awaited. Whilst reception to Moreno’s experiential theatre was unfortunately mixed, and its political intimations lost upon the crowd, the therapeutic applications of the empty chair had begun to crystallise in his mind. Over the following decades, a group-based psychotherapy named ‘psychodrama’ was elaborated by Moreno. Psychodrama was based on the premise that internal and external conflicts could be resolved through ‘enactment’: a process of putting one’s thoughts and feelings into action with the support of other group members. Experiential interventions (often using chairs) for facilitating such enactments were also formulated, such as the use of doubles (other group members articulating thoughts and feelings that the subject of psychodrama is unaware of or unable to express), auxiliaries (other individuals enacting important individuals in the subject’s life) and mirroring (observing group members replicating one’s behaviour) (Moreno, 2014). Although actualised within psychodrama, the gestalt approach was the first to apply chairwork within one-to-one therapy contexts. Fritz Perls, the founder of gestalt therapy, shared much in common with Moreno: a notoriety for irreverence; a disdain for intellectualisation; and a frustration with psychoanalysis’s perceived absorption with the past. For emotional distress to be ameliorated, Perls believed, the patient must become fully aware of its expressions in the here-and-now. ‘We ask our patients not to talk about their traumas and their problems’, he wrote, ‘But to re-experience [them]… It is insufficient to recall a past incident, one has to psychodramatically return to it’ (Perls, 1973, p.65). Perls believed chairwork provided one such method for bringing psychological conflicts into present awareness. In contrast to Moreno, however, Perls believed that inviting other individuals to enact internal or external roles on behalf of the patient risked their contamination. To be remedial, all roles must be enacted by just the patient during chairwork. Treatment with Perls was a notoriously demanding and confrontational process. Using the example of unresolved bereavement and ‘unfinished business’, he writes: ‘[The client] has to part, to say a final goodbye… To do this successfully, he has to go to the deathbed and face the departure’ (Perls, 1973, p.65). To help promote his then radical vision therapy, Perls conducted public demonstrations of gestalt therapy and chairwork. During such displays, observers (often therapists) would be invited to take a seat beside Perls – aptly named ‘the hot seat’ – and work through their emotions, blocks or traumas before the crowd. Such performances suited Perls well: not only did they provide a platform for evidencing his therapeutic abilities, but their impressive results generated considerable publicity for the gestalt approach (Kellogg, 2015). Owing to Perls’ compelling displays, chairwork techniques were beginning to attract considerable attention within both psychotherapeutic and thespian circles. Many psychological therapies began to adopt chair-based techniques in some form or other – including Albert Ellis’s rational-emotive therapy and the cognitive-behavioural therapy of Beck and others – either as a core intervention or treatment augmentation. What chairwork techniques lacked, however, was empirical foundation and specification as to their implementation. Thankfully, this need was fulfilled via a proliferation of chairwork-related studies emerging from humanistic schools of psychotherapy in the late 1970s, most notably process-experiential and, later, emotion-focused therapy (Greenberg et al., 1993). Such research not only demonstrated that chairwork could ameliorate a range of emotional difficulties, but also delineated specific intervention-related ‘tasks’ through which these outcomes could be reliably achieved (Greenberg, 1983; Greenberg & Watson, 1998). By the end of the century, chairwork had been established as a credible and effective therapeutic intervention. Conceptually revolutionary, it has continued to inspire applied psychologists of different orientations and drive psychotherapeutic innovations in the 21st century. Looking back on its development, it seems that Moreno’s prediction has proved correct: not only does action speak louder than words, but it also stands the test of time. Almost everyone carries an ‘inner critic’ through life – the little voice that whispers doubts in our ears, the devil-on-the-shoulder that reviles in our limitations, the inner bully that loves to remind us of our mistakes. And criticism hurts – particularly when it is self-inflicted. When humans chastise themselves, they often respond with shame, anxiety and internal defeat. It comes as no surprise, then, that pronounced self-criticism has been associated with a variety of emotional disorders (Kannan & Levitt, 2013). However, self-criticism for some is very much valued: self-attacks may seem to aid performance or maintain one’s humility (Gilbert et al., 2004). So imagine, for a moment, that your own ‘inner critic’ is sitting before you in an empty chair – what would you want to say to it? Would you thank it for its assistance? Berate it for the pain it has caused you? And when it replied, might it even remind you of someone from your past? Work with self-criticism provides a colourful illustration of the creative ways in which chairwork has been applied. The most well researched of these interventions is the two-chair technique for self-evaluative splits (TTSS), originally outlined within emotion-focused therapy (EFT) (Greenberg et al., 1996). TTSS begins with the client switching seats and, speaking as the inner critic, directing their self-criticisms towards the now vacated chair (‘You are such a…’). Moving back into the empty seat, the client is encouraged to share with the critical chair how it feels to be attacked in such a way. This process of shuttling between ‘critical’ and ‘experiencing’ chairs is then repeated several times, following which the client is encouraged to verbalise what is needed from the critical side. This expression of a core need is crucial to efficacy of the intervention and typically has one of two results: either an expression of anger towards the inner critic, or an outpouring of sadness and request for support. When asked to move back into the critical chair, two further responses are observed from the inner critic: either it remains unrelentingly harsh (in which case the client is encouraged to remain assertive) or the critic softens and a more compassionate form of self-to-self relating is generated. In this way, TTSS helps reduce self-criticism by facilitating integration and negotiation between critical and criticised parts of the self. Research also suggests that TTSS is effective in achieving these aims, both as an element of EFT and as a stand-alone intervention (Greenberg & Watson, 1998; Shahar et al., 2012). In contrast, other chairwork techniques aim to construct adaptive internal representations that compete with self-criticism. The most theatrical of these is the trial-based method (de Oliveira, 2008): a cognitive intervention that aims to modify self-critical thoughts in a process analogous to a courtroom trial. The method begins with the client re-conceptualising their self-critical beliefs as ‘self-accusations’ that have been posited by an internal ‘prosecutor’. Changing seats, the client is asked to enact this internal prosecutor and present evidence to the courtroom that supports the self-accusation. Switching seats once more, the client is then asked to enact an internal ‘defence attorney’ and present evidence that does not support the self-accusation. Once both sides have fully expressed their perspectives, the trial is concluded with the therapist and the client changing seats and adopting the roles of objective ‘jurors’ who evaluate the accuracy and persuasiveness of evidence so far discussed. Based upon the jurors’ final verdict, the client is then asked to re-evaluate their self-critical belief. Preliminary research suggests that the trial-based technique is not only effective in modifying negative self-beliefs, but may also outperform traditional cognitive interventions such as negative automatic thought records (de Oliveira et al., 2013). Whilst the form and structure of chair-based interventions has varied across time and psychotherapeutic orientations, certain commonalities remain. Like the tango, chairwork relies upon three key ingredients: emotion, movement and interaction between two (or more) partners. Beginning with emotion, chairwork has been described as one of the most evocative interventions available to applied psychologists (Kellogg, 2015). Clients are often surprised by the intensity of emotion elicited during such exercises. My first, and most memorable, experience of chairwork took place at a workshop led by a master of the technique, Scott Kellogg. A brave therapist was invited onto the stage to engage in an empty-chair dialogue with his estranged father. Not only was the entire audience brought to tears within a matter of moments but, quite incredibly, the entire exchange between father and son took place in Spanish. The audience did not hear the dialogue, we felt it. Movement also appears to be important to the efficacy of chairwork. Research suggests that chairwork exercises are less effective when the client remains in the same seat compared to switching between chairs (Delavechia et al., 2016). Why shuttling between chairs enhances the effectiveness of chairwork remains unclear. Given that emotional distress has been associated with rigid styles of cognition, movement may disrupt repetitive patterns of negative thinking and help facilitate task immersion during chairwork exercises. Alternatively, movement may create a more decentred perspective on distressing internal events: we can practise literally ‘stepping in’ and ‘stepping out’ of our most distressing thoughts, feelings and behaviours (Chadwick, 2003). Finally, chairwork is an inherently dialogical process involving exchanges between two or more voices located within the client. The idea that individuals are composed of multiple and interacting voices, selves or subpersonalities (‘multiplicity’) has proved popular within both philosophy and psychotherapy (Dimaggio & Stiles, 2007). Within the context of mental illness, however, it has often been observed that emotional distress has a monolithic quality: depression, for example, may be characterised by a tendency to evaluate oneself as entirely worthless. When negative automatic thoughts such as these are placed in an empty seat, however, new and therapeutic perspectives are automatically created by the presence of additional chairs that do not support the dominant viewpoint. Multiple chairs enable multiple perspectives to develop, thereby challenging the influence of any one self-part. As the applications of chairwork have grown, so have theories about its underlying mechanisms of action. As psychologists, how can we understand the therapeutic effects of chairwork? Multi-level theories of information processing provide us with one explanation (Epstein, 1998; Teasdale & Barnard, 1993). According to such theories, information tends to be processed in one of two ways. A ‘cognitive’ or ‘propositional’ system is responsible for processing ‘cold’ intellectual information – things that are easy to put into words and that require more effortful analytic processing (head-level information processing). In contrast, an ‘experiential’ or ‘implicational’ system more closely tied to emotion is responsible for processing ‘hot’ cognitive information. Such information is harder to convey and is processed in a more holistic, intuitive and preconscious manner (heart-level information processing). An obstacle for many applied psychologists has been ensuring that changes in unhelpful beliefs occur at both the ‘intellectual’ and ‘emotional’ levels. If it does not, then behavioural changes are unlikely to endure and emotional distress will tend to persist: as anyone with a fear of flying will tell you, head-level statistics provide little reassurance when the dreaded moment of take-off finally arrives (the ‘head-heart lag’) (Stott, 2007). Thankfully, multi-level theories also provide clues as to how change can be achieved in both the head and the heart (Brewin, 2006; Teasdale & Barnard, 1993). For example, corrective information is more likely to produce belief change if it is distinctive and multisensory (that is, incorporating verbal, visual and kinaesthetic inputs). Contextually, information conveyed alongside high levels of emotion and in circumstances that match features of the original learning event are also likely to encourage heart-level information processing. As Perls astutely observed, we may need to return the metaphorical deathbed in order to fully resolve our past traumas. Perhaps chair-based techniques are somewhat unique, then, in fulfilling all of these criteria simultaneously: dialogue, imagery, movement and high levels of emotion combine within the medium of chairwork to produce an intervention that is not only highly memorable but also capable of achieving change within parallel information-processing subsystems. Of course, further research is needed to establish what truly lies at the heart of chairwork. Susan feels tired now. With encouragement, she takes her mother’s seat and responds to what her daughter has conveyed. Susan, in her mother’s shoes, apologies for the pain she has caused. She reassures her daughter that leaving was the hardest decision she ever made and had nothing, absolutely nothing, to do with her beautiful little girl. Back in her original chair, Susan sighs in relief. She has waited years to finally hear these words. As we near the end the session, I ask if there is anything else she needs to say. ‘No, I think I’m ready to say goodbye to her now’, she replies. ‘And for the first time that feels OK’. It is my belief, and has been my experience as a psychologist, that there is something special about chairwork. Put simply, chairwork brings the practice of psychology to life, be this in terms of facilitating talking therapy, skills development, self-reflection, or more general psychological and behavioural change. When we are presented with an empty seat, we are given an opportunity to begin speaking directly to – rather than about – the issues that cause us emotional turmoil. Not only can such dialogue transform how we perceive these difficulties, but it also empowers us to negotiate, fight or forgive the parts of ourselves (and others) that are responsible for our distress. By helping us to externalise and give voice to the darker corners of our inner worlds, chairwork affords us greater mastery over these feared regions. So, pull up a chair – and make it whatever you need it to be. Brewin, C.R. (2006). Understanding cognitive behaviour therapy: A retrieval competition account. Behaviour Research and Therapy, 44, 765–784. Carnabucci, K. (2014). Show and tell psychodrama: Skills for therapists, coaches, teachers, leaders. Racine, WI: Nusanto Publishing. Chadwick, P. (2003). Two-chairs, self-schemata and a person based approach to psychosis. Behavioural and Cognitive Psychotherapy, 31, 439–449. Delavechia, T.R., Velasquez, M.I., Duran, E.P. et al. (2016). Changing negative core beliefs with trial-based thought record. Archives of Clinical Psychiatry, 43, 31–33. de Oliveira, I.R. (2008). Trial-based thought record (TBTR): Preliminary data on a strategy to deal with core beliefs by combining sentence reversion and the use of analogy with a judicial process. Journal Brasileiro de Psiquiatria, 30, 12–18. de Oliveira, I.R., Bonfim, T.D., Duran, E.P. et al. (2013, November). Changing negative core beliefs with the trial-based thought record: A randomized study. Poster presented at NEI Global Psychopharmacology Congress, San Diego. Dimaggio, G. & Stiles, W.B. (2007). Psychotherapy in light of internal multiplicity. Journal of Clinical Psychology, 63, 119-127. Epstein, S. (1998). Cognitive-experiential self-theory. In M. Lewis & J. M. Haviland (Eds.) Handbook of emotions (pp.313–326). New York: Guilford Press. Gilbert, P., Clarke, M., Hempel, S. et al. (2004). Criticizing and reassuring oneself: An exploration of forms, styles and reasons in female students. British Journal of Clinical Psychology, 43, 31–50. Greenberg, L.S. (1983). Toward a task analysis of conflict resolution in gestalt therapy. Psychotherapy: Theory, Research and Practice, 20, 190–201. Greenberg, L.S., Rice, L.N. & Elliott, R. (1993). Facilitating emotional change: The moment-by-moment process. New York: Guilford Press. Greenberg, L.S., Rice, L.N. & Elliott, R. (1996). Facilitating emotional change: The moment-by-moment process. New York: Guilford Press. Greenberg, L.S. & Watson, J. (1998). Experiential therapy of depression. Psychotherapy Research, 8, 210–224. Kannan, D. & Levitt, H.M. (2013). A review of client self-criticism in psychotherapy. Journal of Psychotherapy Integration, 23, 166–178. Kellogg, S. (2015). Transformational chairwork: Using psychotherapeutic dialogues in clinical practice. Lanham, MD: Rowman and Littlefield. Moreno, J.D. (2014). Impromptu man: J.L. Moreno and the origins of psychodrama, encounter culture, and the social network. New York: Bellevue Literary Press. Neff, K.D., Kirkpatrick, K.L. & Rude, S.S. (2007). Self-compassion and adaptive psychological functioning. Journal of Research in Personality, 41, 139–154. Paivio, S.C., Jarry, J.L., Chagigiorgis, H. et al. (2010). Efficacy of two versions of emotion-focused therapy for resolving childhood child abuse trauma. Psychotherapy Research, 20, 353–366. Perls, F. (1973). The gestalt approach and eye witness to therapy. Palo Alto, CA: Science and Behavior Books. Pugh, M. (2017). Chairwork in cognitive behavioural therapy: A narrative review. Cognitive Therapy and Research, 41, 16–30. Shahar, B., Carlin, E.R., Engle, D.E. et al. (2012). A pilot investigation of emotion-focused two-chair dialogue intervention for self-criticism. Clinical Psychology and Psychotherapy, 19, 496–507. Stott, R. (2007). When head and heart do not agree: A theoretical and clinical analysis of rational-emotional dissociation (RED) in cognitive therapy. Journal of Cognitive Psychotherapy, 21, 37–50.